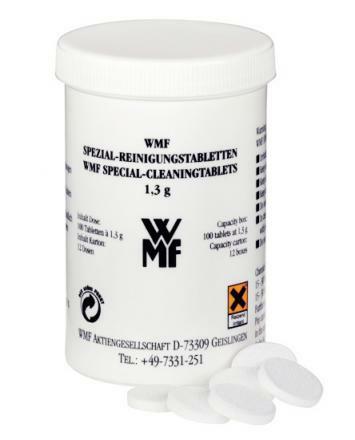 WMF special cleaning tablets for cleaning of the milk system of WMF espresso machines with pumping systems; Easy Milk, Active Milk and Dynamic Milk. 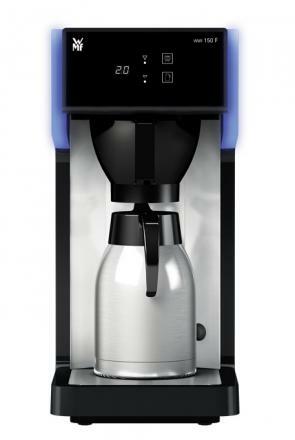 Filtered Coffee tastes best when it is made using freshly ground beans – exactly the way thatWMF1200F does it! The perfect cup or larger volumes of filtered coffee can be prepared athigh-speed: 0.5 litres of freshly ground and filtered coffee can be brewed in just 65 seconds. Thus filling up a large mug or thermal jug is just a matter of moments. Furthermore the optional quantity brewing arm allows dispensing of coffee into large insulated jugs. 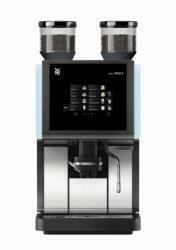 Whether it is used as additional equipment for a WMF specialty machine, to make coffee for breakfast or to provide coffee for large meetings and many guests, the WMF1200F ensures the outstanding coffee experience. 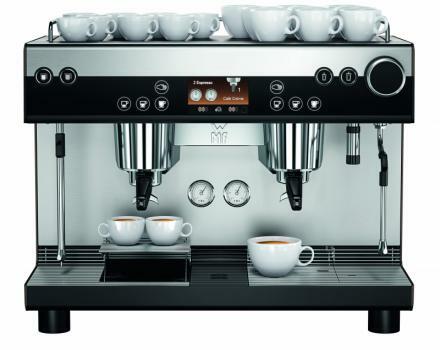 The WMF 1200 S is a high quality professional coffee machine for small to medium use. It can do anything your heart desires – from Espresso and Café Crème to Cappuccino, Café Latte, Latte Macchiato and even Milk Choc and Chociatto. At the push of a button, reliably and of top quality. The WMF 1200 S is also entirely made in Germany from high quality materials. Every single machine is tested inside and out before delivery by experts. The self-explanatory display makes the path to your perfect coffee enjoyment child's play. 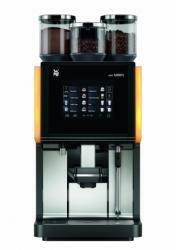 Based on the new generetaion-platform, the WMF 1500 S is the successor of our top-seller coffee machine - the WMF presto!. The previous variations have convinced our customers through price performance, slim design and excellent coffee quality. As the subsequent model, the WMF 1500 S includes all of the great qualities of our previous models and improves upon them in many areas. The new design and the black touch screenimmediately catch the eye. The optional Easy Milk-System for hot milk, hot milk foam and also cold milk, opens up entirely new opportunities. 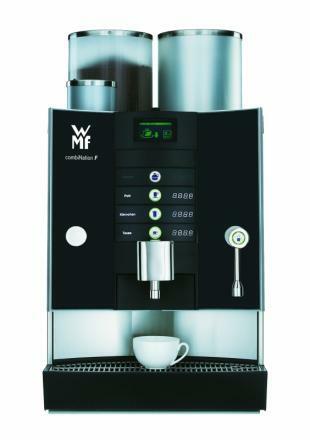 With rock-solid workmanship and high-quality components, the WMF 1500 S ensure that your guests can be spoiled with high-quality coffee, day after day and well into the future. The WMF 5000 S is the ground-breaking highlight of the New Generation Plattform. 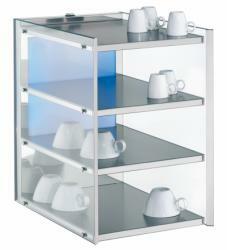 Its heavy-duty brewer guarantee delivering a consistently high number of cups within astoundingly compact dimensions. Equipped with the new WMF Dynamic Milk System (optional), the WMF 5000 S offers a variety of consistencies for hot and cold milk foam, as well as hot and cold milk. The WMF 5000 S is like a loyal team member you can always depend on: pulling its weight and always fast enough when it counts. At the same time, it’s intuitive and easy to use. Just as staff aim to please customers with a friendly smile, this fullyautomated team member gives you a perfectly tailored drink at the touch of a button – for each and every customer. 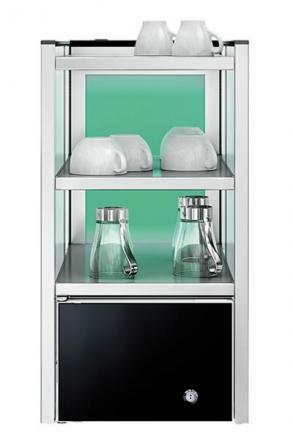 The WMF 5000 S not only offers high performance, but can be cleaned efficiently and thoroughly. The new WMF 9000 S+. A maestro of perfect taste. One that fulfils the most individual requirements and meets the highest standards of enjoyment in a playful way. Anywhere, at any time. In the breakfast room of a premium hotel or the town bakery. Even with a wide variety of drinks – such as when a tour group needs to be served quickly – the same level of perfection can be found in each delicious espresso. Whether subito, dolce or forte – the live performance of the WMF 9000 S+ is always one thing above all: maestoso. Masterful enjoyment – brought to perfection in every single beverage. Fully orchestrated in the most important coffee discipline of them all: the espresso. Thanks to the high-end components on the new WMF 9000 S+, each beverage is a harmonious performance of flavour and visuals, right down to the finest detail. For a guaranteed exquisite coffee experience. The WMF combiNation F opens a new dimension of aromatic filtered coffee from one of the most beautiful automatic machines of our time. A really good cup of coffee is always a small work of art. But it is high art to produce this excellent cup of coffee repeatedly and at a high speed. This is exactly what the WMF combiNation F specialises in. Decades of experience with brewing and stocking systems for filtered coffee combined with the latest digital technology provide for reliable, first-class coffee enjoyment. 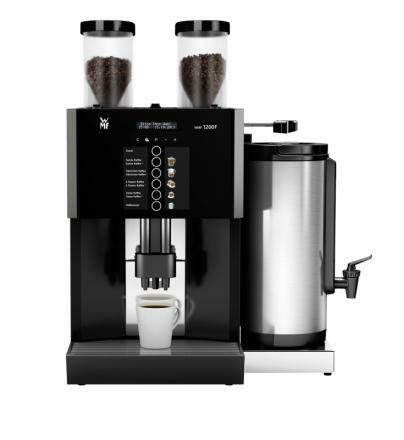 Different brewing amounts and an optional height-adjustable front panel allow for the precise filling of nearly any size container. The fill quantities are programmed individually to your cup or pot sizes. Milk cooler with lockable door that can hold 9.5 liters of milk. Suitable for WMF coffee machines: WMF 1200 S WMF 1500 S WMF 5000 S and WMF 8000 S.
9.5 liters removable plastic container for easy cleaning and filling of milk. 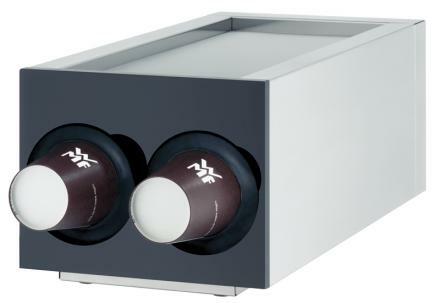 WMF cup holder with cooler. Available in different sizes and versions. For WMF 1200 S, WMF 1500 S, WMF 5000 S and WMF 8000 S.
The new WMF espresso detects the portafilter automatically, controls the brewing time, signals when the grinding degree needs readjusting, grinds the coffee and tamps with 100 % consistency. Everything you need for a perfect espresso. Two air cooled bean hoppers for different types of coffee beans (Espresso and/or Café Crème). Milk foam preparation (fully-automatic or traditional by using the manual steam wand). The WMF espresso measures all vital brewing parameters, grinds and tamps automatically. Insert the portafilter, press the button, prepare yourself for the perfect espresso, remove the portafilter and all done. This process reliability guarantees consistently high quality coffee, which is why truly anybody can operate the WMF espresso. Under machine milk cooler with lockable door that can hold 9.5 liters of milk. 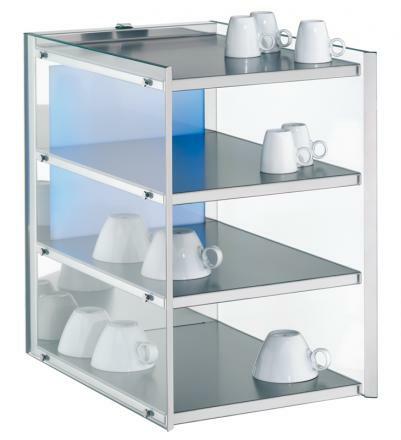 Suitable for WMF coffee machines: WMF 1500 S WMF 5000 S and WMF 8000 S.
Space for a coffee machine with accessories, such as a refrigerator unit and cup rack or a sales device (e.g. coin checker) and, depending on the coffee machine equipment, with different water supplies. 2 lockable casters, 3 power connectors at least 2 storage containers for storing coffee, cups, etc. Including technical group matching with WMF 1500 S or WMF 8000 S.
The WMF 150 F is a classic paper-filter coffee machine, and is the ideal entry-level coffee machine for the best filter coffee. 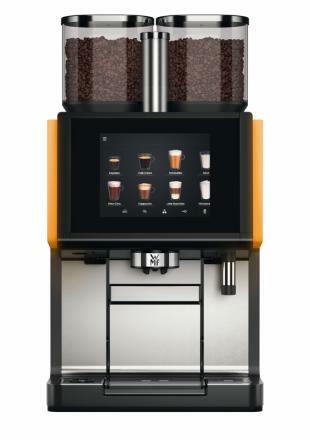 Whether as a “stand alone” coffee machine or as accessory for a WMF speciality machine, the WMF 150 F is your perfect choice! The design is perfectly in tune with coffee machines of the new generation and is the ideal extension of the WMF 8000 S or the WMF 1500 S.
With an output of 144 cups per hour, the WMF 150 F is the perfect appliance for small to medium filter coffee needs. It can be turned to any task, whether breakfast service, refreshments for parties, conferences or day-to-day office requirements. 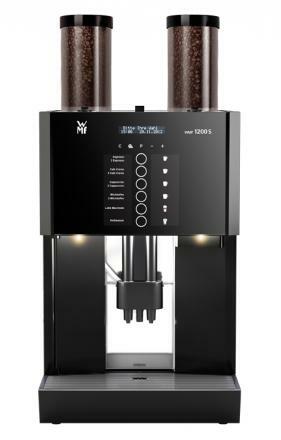 The WMF150F is easy to use: insert the filter-paper, add the coffee grounds, pre-select the volume – done. 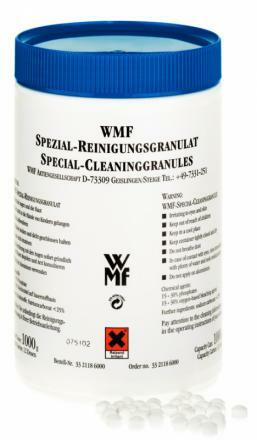 WMF Cleaning granulates for coffee machines with automatic dosing of detergent. For WMF Cafemat and WMF combiNationF. 1kg/can. 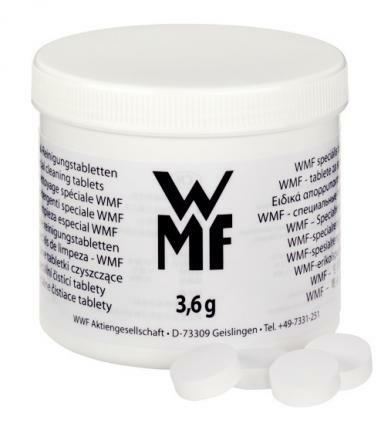 WMF cleaning tablets for coffee machines WMF Bistro and Combination S. 100 tablets of 3.6 g/can. Milk cooler with lockable door that can hold 3.5 liters of milk. 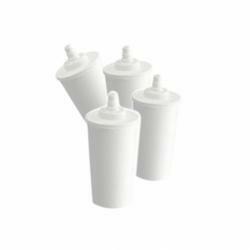 Suitable for WMF coffee machines: WMF 1200 S WMF 1500 S WMF 5000 S and WMF 8000 S.
3.5 liters removable plastic container for easy cleaning and filling of milk. 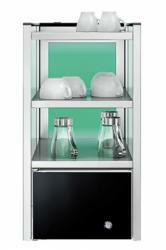 WMF milk cooler with lockable door that can hold 6.5 liters of milk. Suitable for WMF coffee machines: WMF 1200 S WMF 1500 S WMF 5000 S and WMF 8000 S.
6.5 liter removable plastic container for easy cleaning and filling of milk. Milk cleaner for WMF coffee machines. The bottle contains 1 liter. 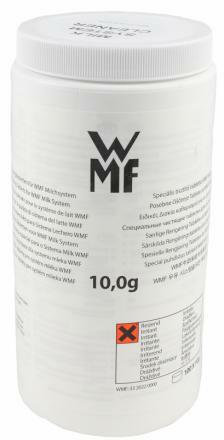 For cleaning of the outlet of WMF coffee machines with milk system. Grounds separator for coffee machine WMF combiNation F. A simple, clean, fast and safe solution for collecting and disposing of the coffee grounds. Placed under counter. 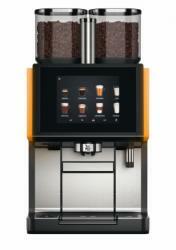 WMF descaler for all WMF espresso machines. Space for a coffee machine or a coffee machine with a refrigerator unit or a sales device (e.g. coin checker) and, depending on the coffee machine equipment, with different water supplies. 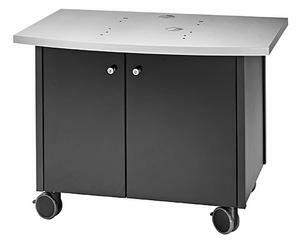 2 lockable casters, 3 power connectors. Paper Cup holder for two 390 mm long tube with paper cups. 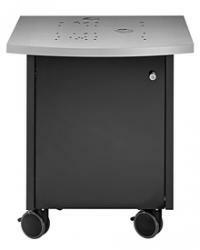 For placement on top of the WMF milk cooler 6.5 liters or stand-alone. Cups with a diameter of 60-90 mm could be used. 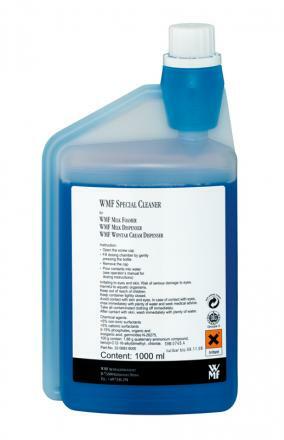 WMF Special cleaning tablets for WMF coffee machines. 100 tablets of 1.3g/can.